Action Green Clean provides green office and home cleaning in St. Louis, MO. Green Seal - is an independent non-profit organization dedicated to safeguarding the environment. 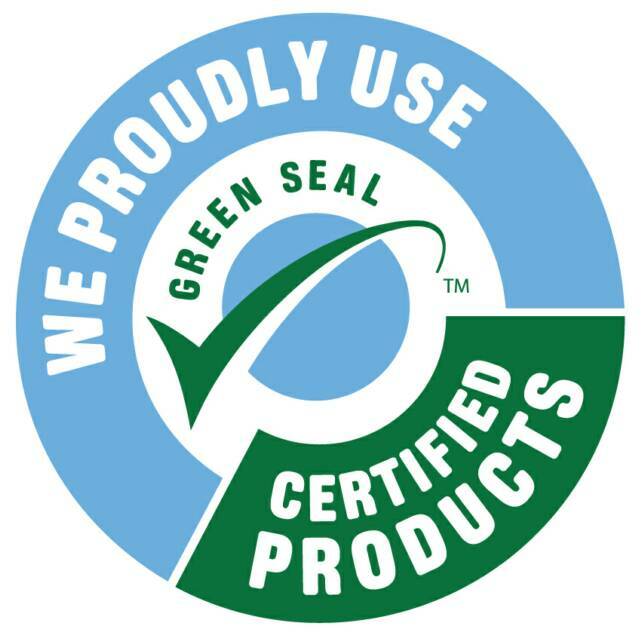 By identifying, certifying, and promoting environmentally responsible products and services, Green Seal: Cleaning products that improves the environment by reducing toxic pollution and waste, conserving resources and habitats, and minimizing global warming and ozone depletion. Here at Action Green Clean we are "Making A Difference". Cleaning products that are Non-Toxic, Biode- gradable and made from 100% naturally derived ingredients. This is the way to go for office and home cleaning. Besides, less harmful pollution in the environment, a great benefit relates to human health. People who use green cleaning services are no longer exposed to the health risks from using toxic cleaners. When a person is exposed to a toxic cleaner, there can be either short or long term risks. The short term risks can involve an immediate reaction such as a rash, watery eyes, itching, burns, blindness, irritate mucus membranes and respiratory problems. Long term risks are health related problems that can arise from chronic use or over-exposure to the toxin and can be related to many serious illness affecting the respiratory system, endocrine system, hormone levels and the nervous systems. As food for thought, many toxic cleaners contain carcinogens, which can cause cancer. Non-toxic and Biodegradable is a safer choice! We provide green cleaning for offices and homes. Having a healthier environment can improve productivity at work or home. 10% Discount on 1st cleaning for Office Cleaning and on Home Cleaning.